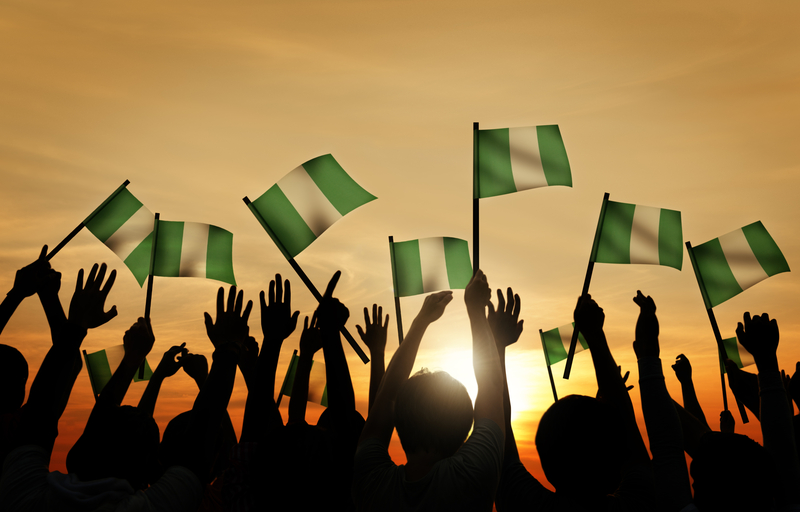 Democracy day in Nigeria: 18 Years Later, To What Extent Has it Delivered on its Promise? I was 6 years old when Nigeria’s last ‘strong man’ General Sanni Abacha died, as young as I was then, I still have vivid memories of the day of his death. I was sitting with my dad when the news broke on the radio, shortly afterwards there was so much jubilation on the streets, people literally screamed and danced for joy, a neighbour even purchased drinks for everyone. Off course, it is only in retrospect that I can understand and appreciate the context of those celebrations. Reflecting on the events of that day, perhaps the reason my neighbours were so excited was because they had assumed that with Abacha’s death, a democracy would be ushered in which would provide them with the right to vote and be voted for; the protection of their individual liberties and freedoms and the enhancement of their standards of living. So today, as we celebrate 18 years of uninterrupted civilian rule, I think it is only prudent that we examine the extent to which Democracy has met the expectations of my then neighbours. At its very basic level, the defining feature of Democracy is the ability of a nation to hold elections. In this regard, Nigeria has held five elections from 1999 till date which continue to be characterised by voter intimidation, ballot-box snatching, patronage and all sorts of irregularities. But I would argue that with each election we continue to make some progress, albeit marginal, especially with the last Presidential election where for the first time, power was transferred from one political party to another. But we still have a very long way to go – I look forward to a time when people don’t have to stock up food during elections for the fear of a violent outbreak; where we do not have to use two days to manually collate results and when we are no longer forced to choose between the lesser of two evils simply because we keep recycling the same members of the political establishment. But Democracy goes farther than merely holding elections, as Democracy progresses, there ought to be commensurate institutional development in order for it to function effectively. According to Francis Fukuyama, a successful modern liberal democracy is characterised by a strong state, the rule of law and accountable government. A strong state is needed so that all the citizens within a given territory can be brought into compliance with the laws of the land. But the existence of a strong state precipitates the need for the rule of law and accountable government which limits the state’s power by ensuring it is used in accordance with the laws and in subordination to the will of the people. For accountable governance to occur, freedom of expression, a free press and a vibrant civil society are a sine qua non. It is in the development of these institutions which make Democracy work that Nigeria continues to flounder. The weakness of the Nigerian state is evident in the condition of its internal security where at every given time, different swathes of its territory are dominated by various militia who unleash terror and mayhem on the citizens. The existence of an entrenched patronage system has undermined objective discourse of wrongdoing such that politicians are able to get away with any ethically or morally reprehensible action so long as they belong to the dominant ethnic or religious group of the day. When private citizens, civil society groups or members of the press attempt to express dissenting views, they are harassed, arrested or even killed and no one is held accountable. Environmental degradation in Nigeria’s oil producing region- the Niger Delta. But perhaps the biggest failure of democracy is the inability of the Nigerian people to benefit from the natural resources the nation is endowed with. For years, revenue from oil has continued to disproportionately benefit a very narrow elite while over 70% of the population wallow in abject poverty. What then is the difference between Democracy and Authoritarianism when oil rents have not been used to improve the lives of a majority of the populace? This is certainly not the sort of future my neighbours envisaged when they were celebrating in 1998. I am sure that they did not imagine that 18 years down the line, the Nigerian state would still be struggling with the provision of basic services such as health and education to its citizens. It is true that Democracy does not in any way guarantee economic growth or development but it remains the only system of governance which provides the opportunity for societies to build inclusive political and economic institutions; institutions which not only encourage the creation of prosperity but also ensure that societal wealth is more broadly shared. In discussions with the people who were celebrating on that fateful day in June 1998, many have become weary, disillusioned and have entirely given up on the system which by the way gave up on them first as the trajectories of the lives of most of them are worse off than the day our last Dictator died. To them, what then was the point of all that jubilation?Were they not better off under Abacha’s regime? These feelings are legitimate by all means but they are bad for our democracy as such apathy and lack of faith in the system by citizens undermine democracy in the long run. But to counter these thoughts, to enable these people hope and dream again and to rekindle their faith in the system, they need to be given evidence to do so .The challenge for our government therefore is the transformation of Democracy in Nigeria from an abstract ideal into one which has positive, substantive and tangible benefits for all Nigerians. In other words, they need to make Democracy work! Next What’s hot?!! Vol.1 – June 12, unemployment data, debt etc.